The illuminated 4.3 km long toboggan run leads from the Almferienclub Silbertal or Alpengasthof Gaislachalm over the Sonnesck to Stiegele. 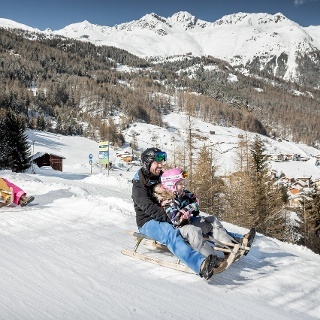 When booking a hut evening on the respective alpine pastures, than they will pick you up with a shuttle taxi to the starting point of the toboggan run. 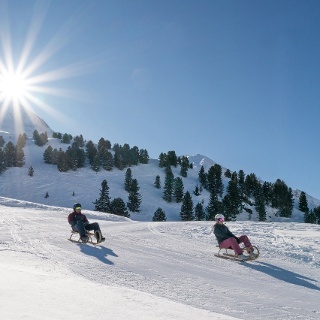 The toboggan run is only open for sledding between 22:45 and 01: 30 clock. From Stiegele, the taxis bring you back to Sölden. From Monday to Friday Silbertal and Gaislachalm offers hut evenings. We recommend to wear helmets while tobagganing! At the rest of the time cars and taxis are allowed to use the road. 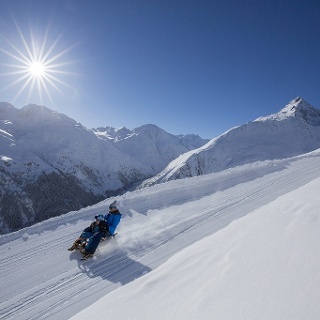 The toboggan run starts at Ferienclub Silbertal and continues on the Gaislachalm to Stigele. The toboggan run is illuminated. However, outside the decleared times (22:45 - 01:30 clock) cars are running regulary .